Check out Tobi's Tunnel Vision High Waisted Shorts Giving you the eyes in the Tunnel Vision Toast High Waisted Shorts. These high waisted mom shorts feature a high waisted slim fit that flares slightly at the sides for a flattering silhouette. 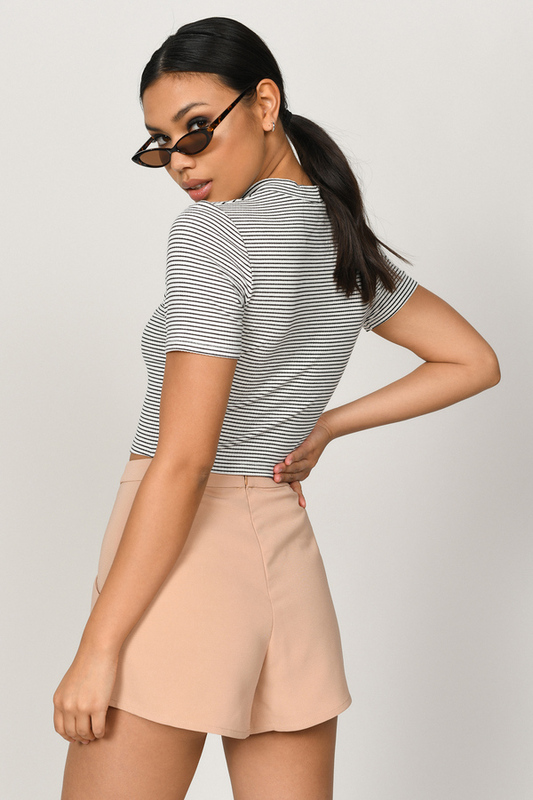 Designed with angled pockets for a playful and refreshing take over the basic tailored shorts, complete the look with a flowy crop top. Giving you the eyes in the Tunnel Vision Black High Waisted Shorts. These high waisted mom shorts feature a high waisted slim fit that flares slightly at the sides for a flattering silhouette. Designed with angled pockets for a playful and refreshing take over the basic tailored shorts, complete the look with a flowy crop top. 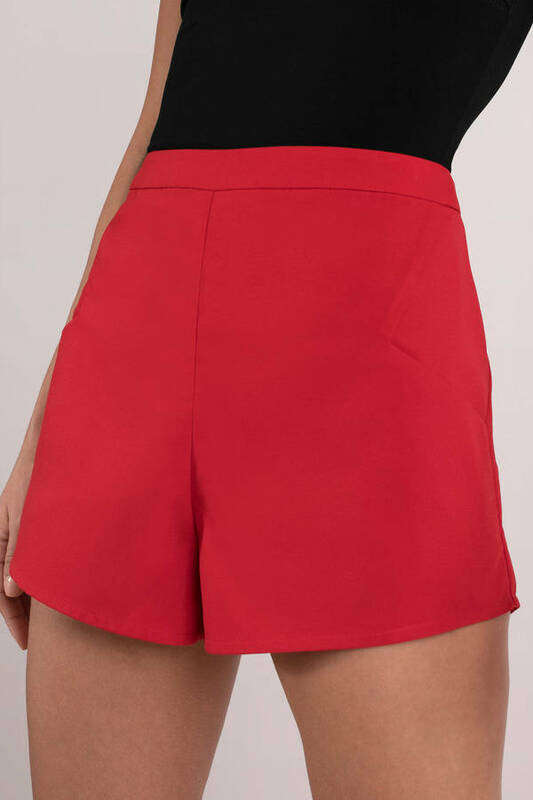 Giving you the eyes in the Tunnel Vision Red High Waisted Shorts. These high waisted mom shorts feature a high waisted slim fit that flares slightly at the sides for a flattering silhouette. Designed with angled pockets for a playful and refreshing take over the basic tailored shorts, complete the look with a flowy crop top. Giving you the eyes in the Tunnel Vision Toast High Waisted Shorts. These high waisted mom shorts feature a high waisted slim fit that flares slightly at the sides for a flattering silhouette. Designed with angled pockets for a playful and refreshing take over the basic tailored shorts, complete the look with a flowy crop top.